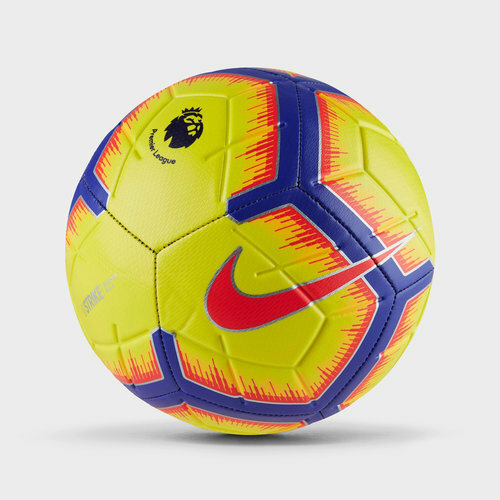 You watch them on tele week in week out and now you can learn to play like them too with this Nike Strike 18/19 Premier League Football in a Yellow, Purple and Flash Crimson colourway. Stars such as Sadio Mane, Eden Hazard and Sergio Aguero all play with a ball like this. Perfect your skills and take your game to the next level just like your footballing heroes when using this football. This ball has been crafted with Nike Aerowtrac grooves and a 12-panel design for accurate flight. It has been engineered with a reinforced rubber bladder for a consistent feel and shape whilst the graphic design is distinctive and highly visible no matter where on the pitch it is.